Autumn Is here. And so Is the Third DrupalCamp Montreal! MONTREAL, QUEBEC--(Marketwire - Oct. 8, 2010) - DrupalCamp Montreal 2010 takes place October 23rd and 24th at McGill University. Whatever your knowledge or use you make of Drupal, don't miss attending a few of the fascinating conferences and workshops. DrupalCamp is made possible each year with the support of the Montreal Drupal service providers such as TP1, an Acquia partner. At TP1, we are proud contributors to DrupalCamp as creators of the visual identity for the event. 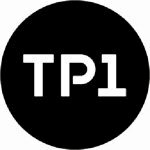 TP1 is a Montreal web agency with a client base in Canada and the USA. TP1 specializes in Internet strategy, branding, web design, digital marketing, social media, content management and e-commerce. To learn more about TP1, visit http://www.tp1.ca/en/.